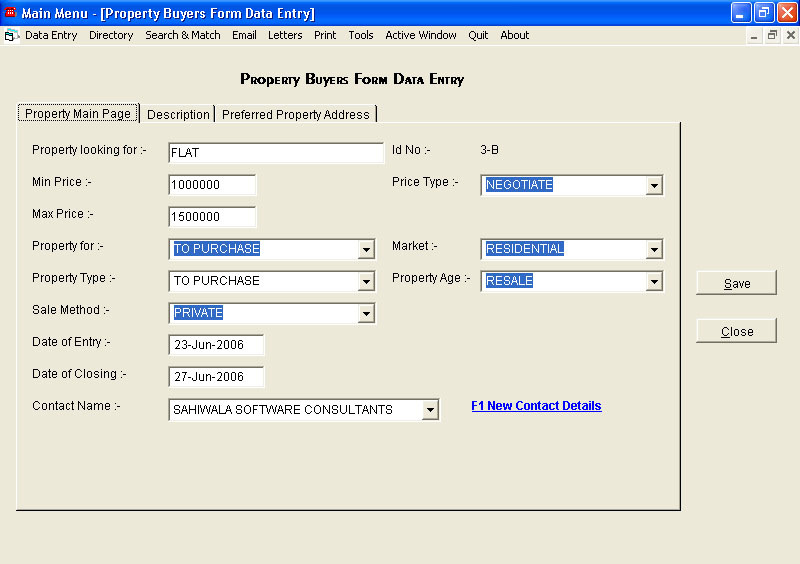 The Property tracking Software manages the details of sellers and buyers requirements and matches both the requirement of buyers and sellers in terms of their property. 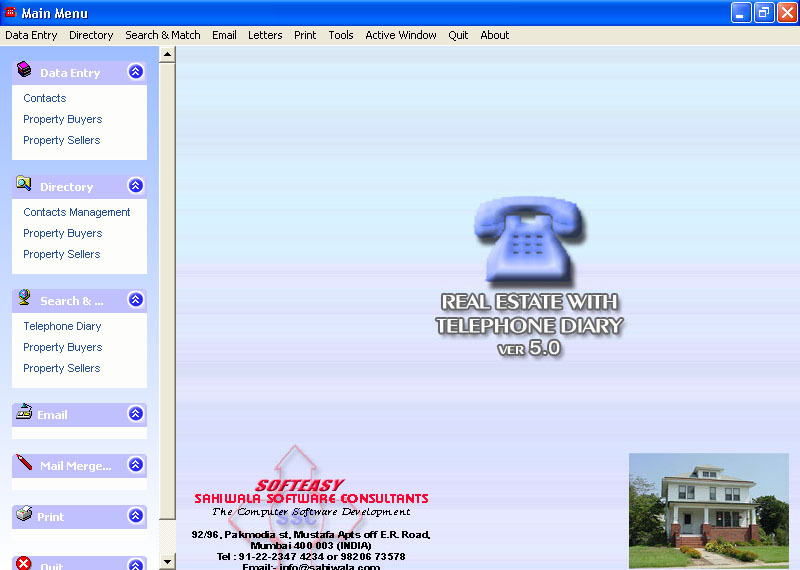 THE READYMADE REAL ESTATE SOFTWARE can also become CUSTOMIZED REAL ESTATE SOFTWARE as per the clients requirements. 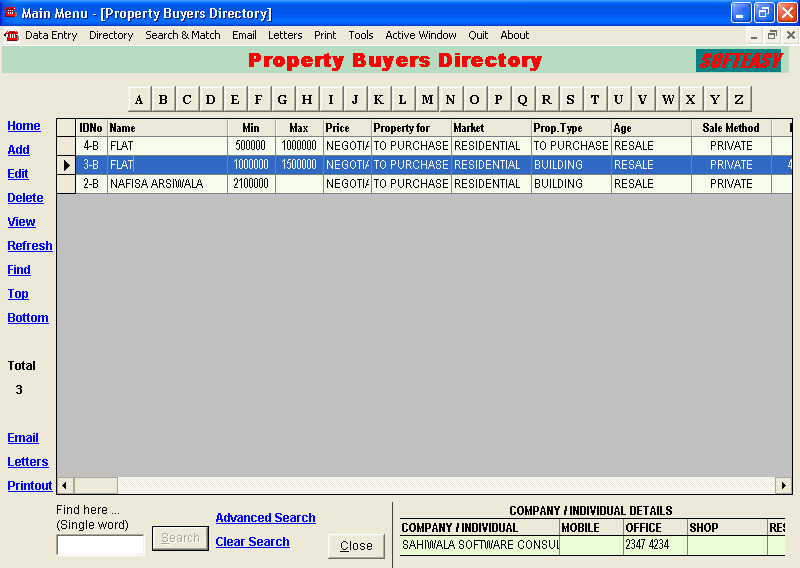 The real estate accounting Software works on a database of the sellers and the buyers. 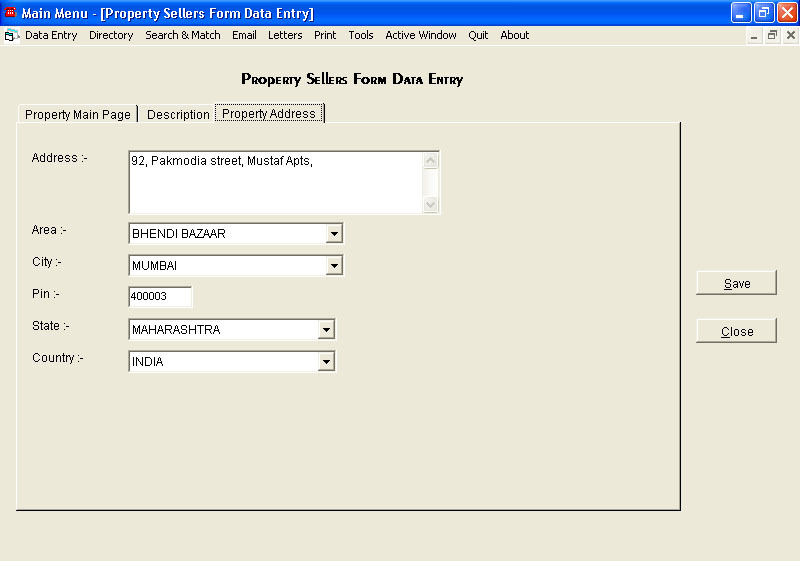 One has to feed all the details of the buyers in terms of his name, address and the requirements of the property.The buyers screen has three different tabs like Property Main Page, Description and Preferred property address, one has to feed all the details and simultaneously it goes with sellers too. 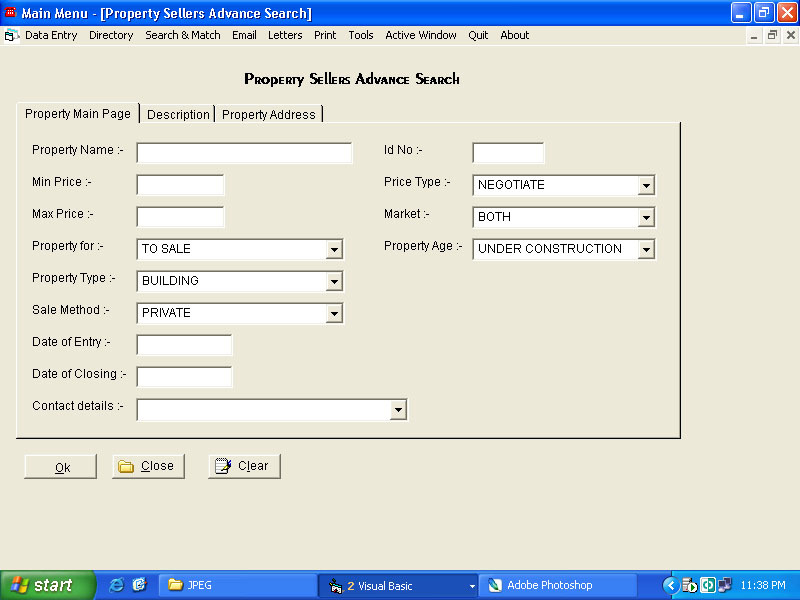 The unique feature of the real estate broker software or the real estate agency software is that the software has the advanced search screen where you can search the different requirements of sellers and buyers and try to match each others property requirements. 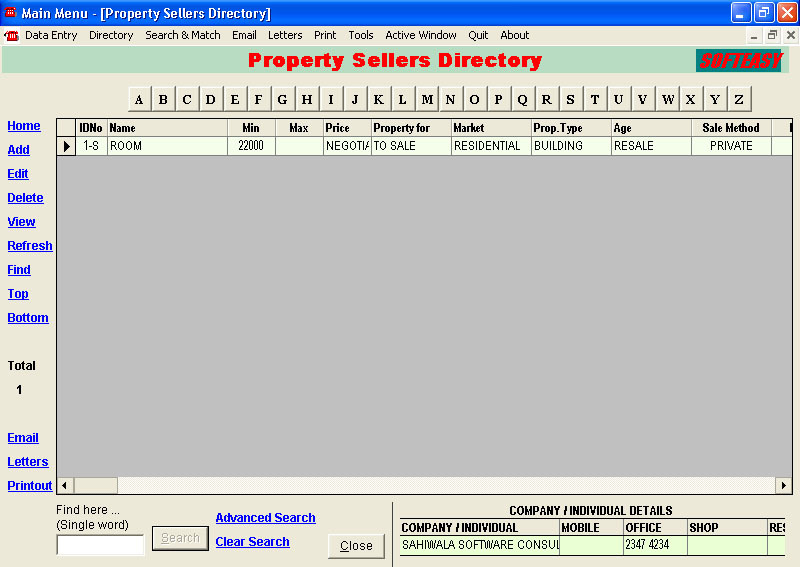 This software is best suited for the brokers or an agency dealing in to the real estate business. 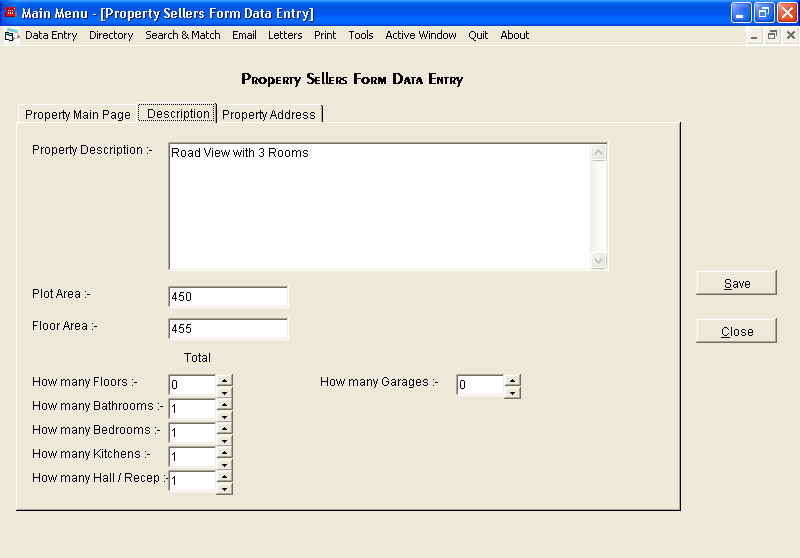 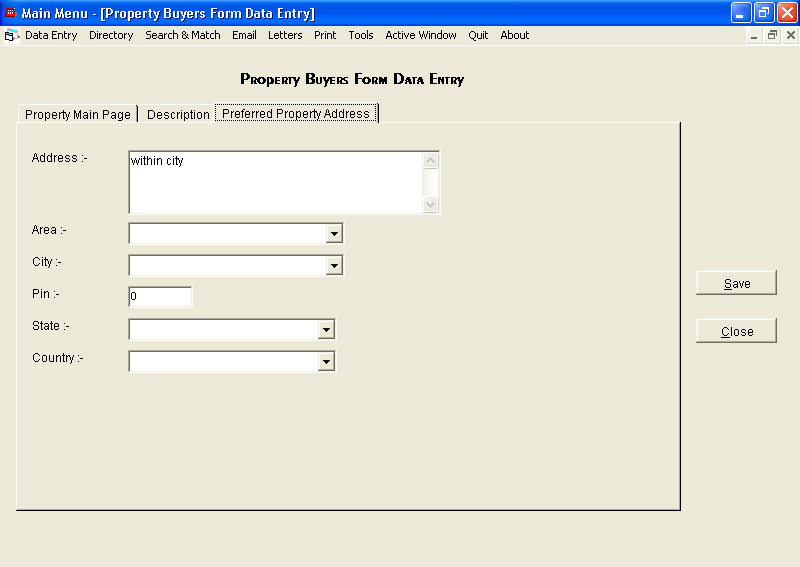 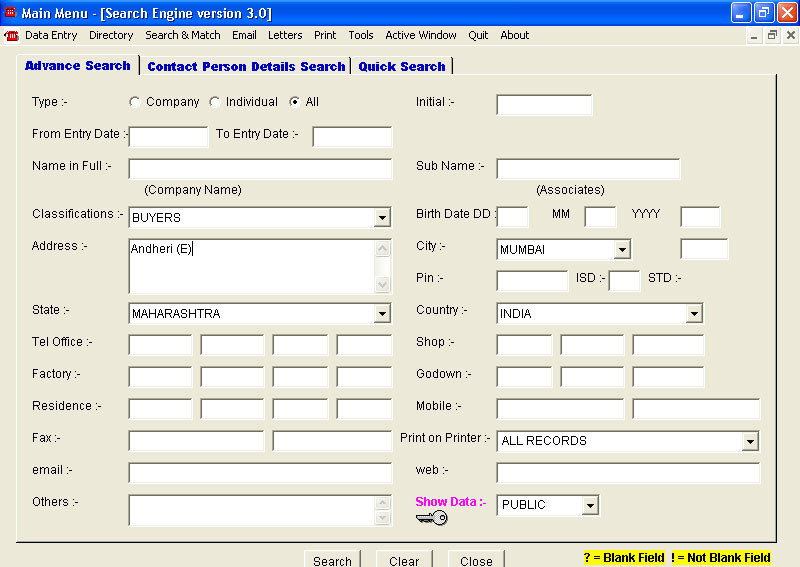 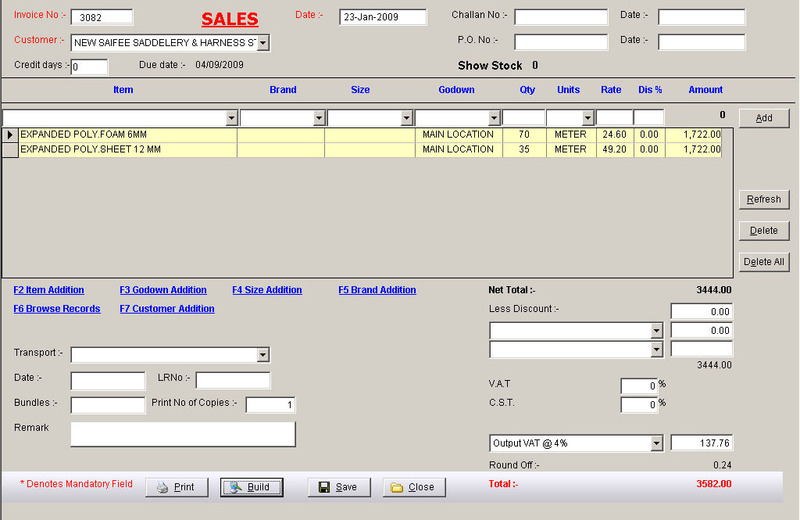 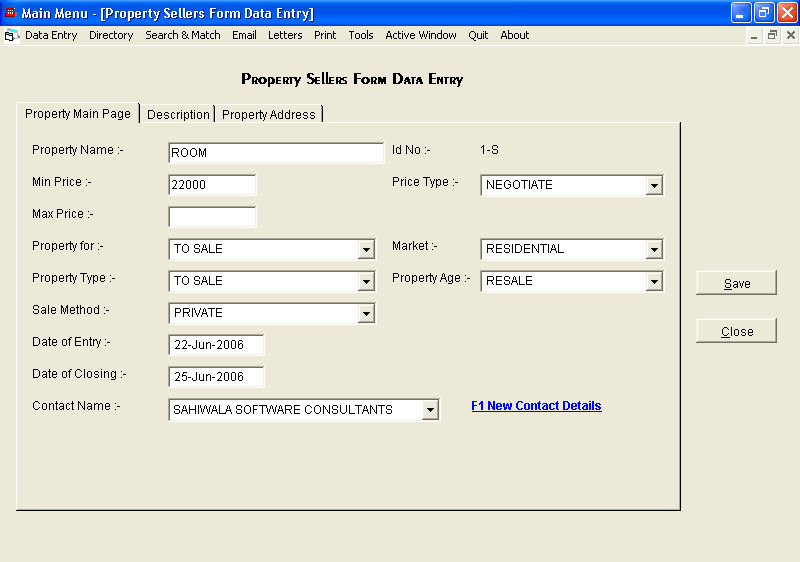 Property Sellers Description Data Entry Screen. 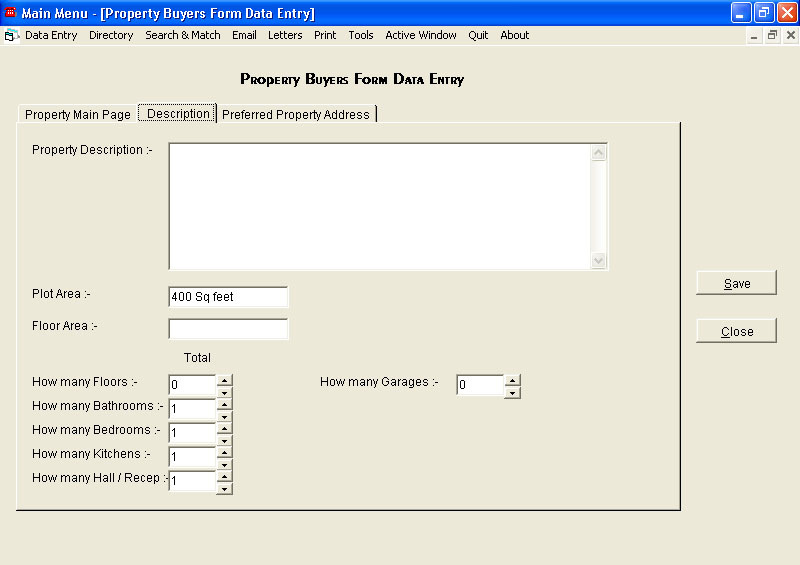 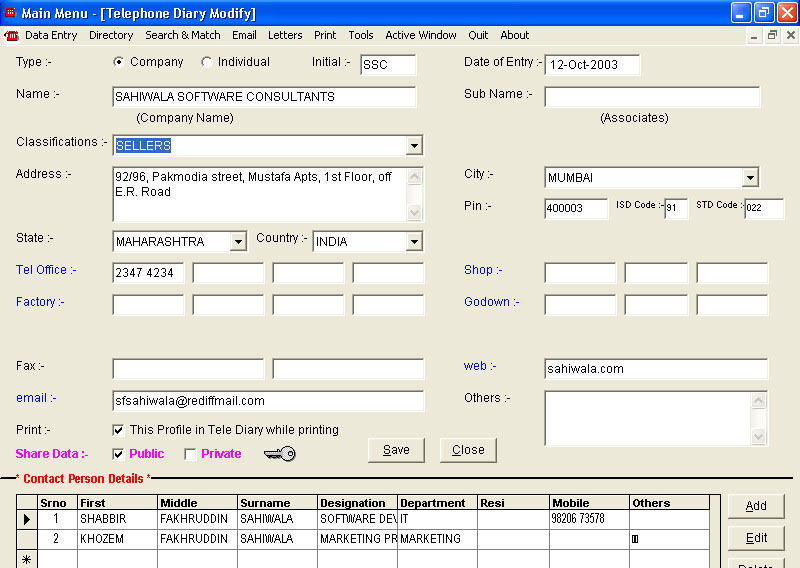 Property Sellers Property Address Data Entry Screen.